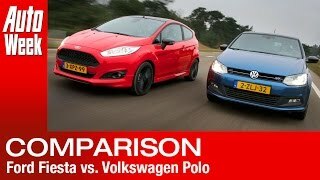 The blue colored vehicles of Volkswagen have always been associated with fuel efficiency and it is no different with the 2013 Volkswagen Polo Blue GT. 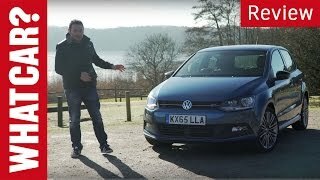 The 2013 variant of the VW Polo Blue GT was unveiled just a couple of days back at the Geneva Motor Show and it promises the renowned VW Blue fuel-efficiency standard as well as near GTi performance. As the name itself suggests, the new VW Polo Blue GT is based on the extremely popular Polo hatchback of Volkswagen, which has been doing rather well in the markets all across the world. The new Polo Blue GT has been designed to fill in between 1.2 TSI and the GTI variants and thus it comes fitted with a 1.4 liter gasoline TFSI engine capable of giving a max output of 138 HP (140PS). The power produced by the engine is not astounding, but it is reasonable given the role the vehicle is supposed to play. The engine achieves this power thanks to its direct-injection and turbocharging technologies. But what the engine is really supposed to do is give the car good enough fuel economy figures, which it does. 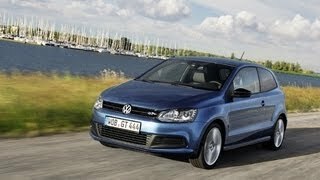 Average fuel economy of the 2013 VW Polo Blue GT is 50mpg, but if you choose for VW’s DSG dual-clutch transmission, the fuel economy will rise to 52mpg. This level of fuel economy is achieved primarily due to the VW’s all-new ACT active cylinder deactivation technology which makes a debut with the new Polo Blue GT. The system shuts down cylinder 2 and 3 when there is low and medium engine load and when the car accelerates, it automatically reactivates them. This whole reactivation process takes about 13 to 36 milliseconds depending on the speed of the engine. 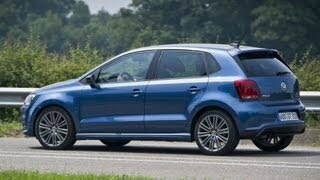 As far as performance is concerned, the new Polo Blue GT accelerates to 60mph from standstill in just 7.9 seconds. It has a top speed of 130mph, which is not at all bad for a hatchback. On the outside, the new Polo Blue sports a new tailpipe trim, all-new 17” alloy wheels, theGT badge at the front and the back, as well as the Bluemotion badge in the back. It also dons a black grille, roof spoiler, R-line ventilation screen, and a ride height which has been lowered by almost 15 mm. This vehicle will go on sale in Europe this July, but the car might not make it to the US sinceVolkswagen believes hatchback market in the country is not very appealing for the newPolo GT.